MIAC is part of the federal “fusion” effort now underway around the country. “As of February 2009, there were 58 fusion centers around the country. … The Department has provided more than $254 million from FY 2004-2007 to state and local governments to support the centers,” explains the Department of Homeland Security on its website. 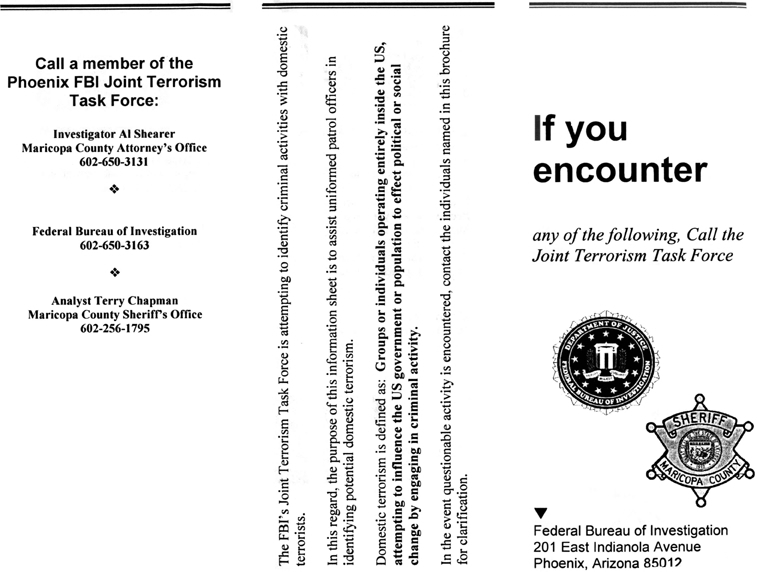 Missouri is mentioned as a participant in this federal “intelligence” effort…. MIAC claims members of a “rightwing” militia movement … “continuously exploit world events in order to increase participation in their movements. 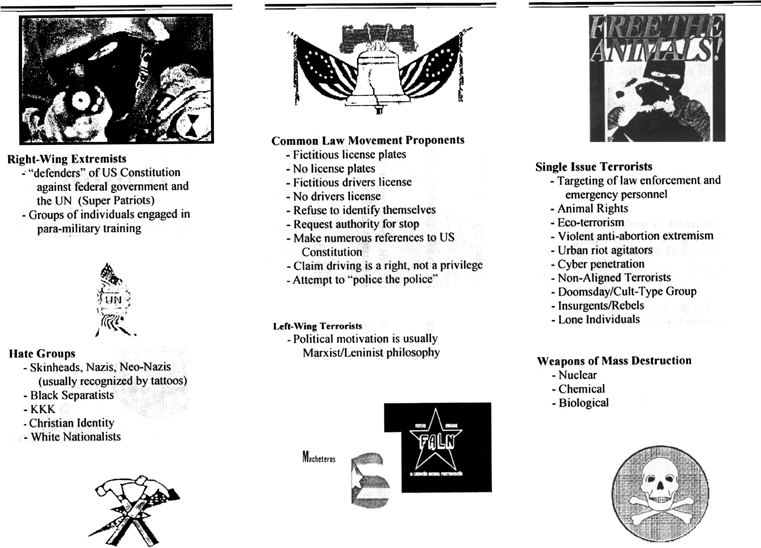 Due to the current economical and political situation, a lush environment for militia activity has been created” and supposedly exploited by “constitutionalists” and “white supremacists,” the latter an oft-employed canard used to demonize activists as dangerous and potentially violent lunatics.